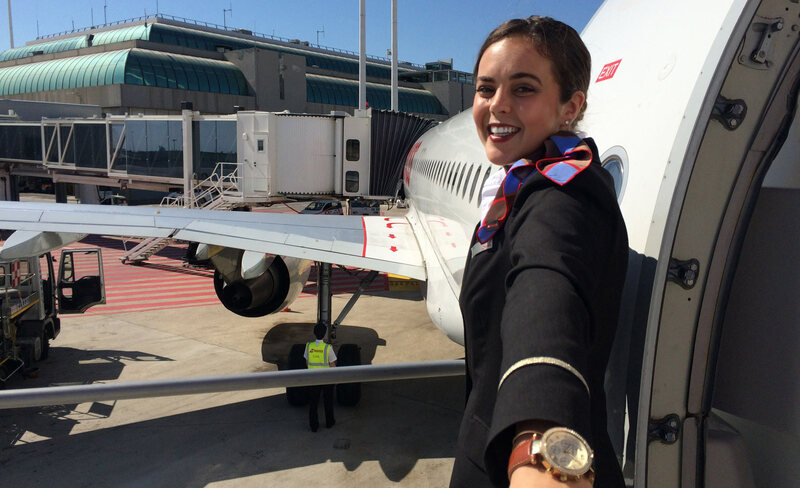 Romina began her career at SWISS as Cabin Crew on short-haul flights. She has also been flying long-haul since September 2015, which is always a special highlight for her. Although this means she has already been able to explore lots of popular destinations on distant continents, she always loves returning to Greece. "No other country on the Mediterranean combines the ancient and the modern in the way that Greece does," Romina enthuses. Once a year, Romina holidays in Athens. Athens is not only the capital of Greece, but it also has the highest population and covers the widest area of any city in the country. The architecture of Athens reflects the historical development since Greek Antiquity. The many sights and museums offer exciting historical insights. In the middle of summer, the temperature can easily rise to above 33°, so it's a good idea to visit in the spring or autumn to explore the city. SWISS flies daily to Athens (ATH) from Zurich (ZRH) and Geneva (GVA). A typical Greek breakfast is the best way to start the day. An iced espresso will be accompanied by "loukoumades". "These are deep-fried dough balls with cinnamon and honey – unbelievably delicious!" Romina believes that the best "loukoumades" are served at the Lotte Cafe-Bistrot. These tiny delicacies are served on porcelain plates in this romantic living-room ambience, where you'll instantly feel at home. Leave the café and head for the highlights of the rich cultural offer. Enjoy a stroll and be amazed by what there is to see. And where could it be better than in Anafiotika? Anafiotika was built in the style of a Cycladic village, with staggered whitewashed houses with roof gardens. "The scenic quarter is lovely. Marbled paths take you through the picturesque lanes, past the occasional souvenir shop," explains Romina. And souvenir shops are Romina's secret passion: "I love mooching around in them!" The world-famous Acropolis is, of course, very touristy, but also well worth seeing. "It is probably the best-known structure in Greece, and offers the most amazing views!" There are various different routes from the old town up to the Acropolis. Depending on the temperature, climbing up the 156 m rock is not without its challenges – but it's always worth the effort. And now for a touch of luxury! For lunch, head to one of the most elegant and most luxurious suburbs of Athens: Glyfada. "It also has the oldest yacht harbour in Attica, which is well worth seeing," says Romina. And a large and excellent selection of Greek food is served at the restaurant Sardelaki." It's also not far to the fishing harbour, which is also worth a visit. At the foot of the Acropolis is Plaka, one of the oldest parts of Athens. Although you’ll find an unbroken chain of souvenir shops here, with street singers out-trilling each other and bracelet sellers on every corner, Plaka still possesses a lot of its original charm. The tiny alleys are perfect for strolling along, because it's a traffic-free area. Romina recommends stopping at the 360 Cocktailbar. "The rooftop bar serves refreshing cocktails and ice coffees. This is the perfect place to enjoy some refreshment, along with the views of the Acropolis." The perfect way to end an eventful day is with a wonderful evening meal, and Romina recommends the Old Taverna Kritikou in Plaka. This authentic taverna has a wonderful roof garden with views of the Acropolis and Lycabettus. "What could be better than sitting on the terrace in the evening and watching the sun set behind the Acropolis as you enjoy a delicious meal?"